I love to bake and enjoy decorating bakery goods on occasion. Since my temperamental waistline doesn’t support continuous baking, I get a lot of satisfaction baking for special birthdays or events at my husband’s workplace. Last weekend, my neighbor Amelia celebrated her 7th birthday. 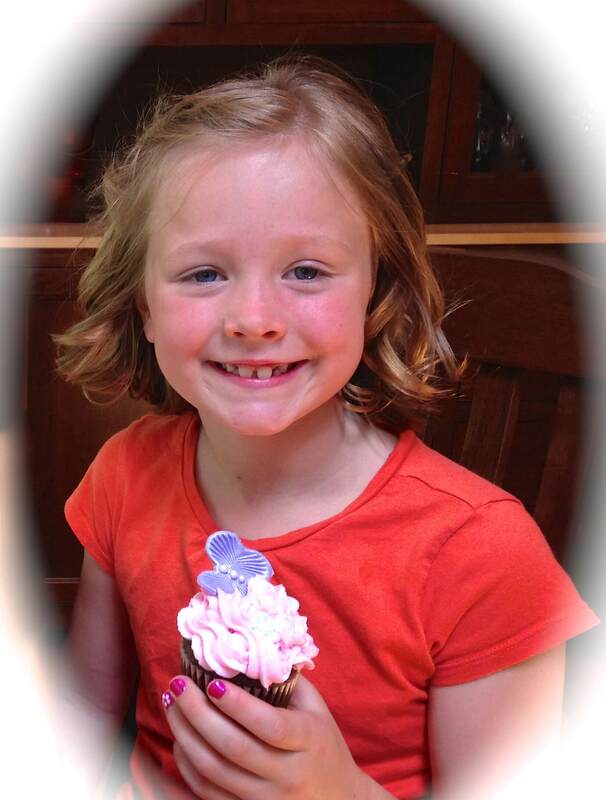 She was having a party that included her school classmates, and I volunteered to provide the cupcakes for her treats. Amelia’s mother stated that butterflies were on her wish list this year. Amelia loves many of the colors that other girls like, and I know pink is her favorite, so I set out to make some colorful cupcakes. Her party was on Saturday, so on Wednesday I made fondant butterflies and coordinating flowers. 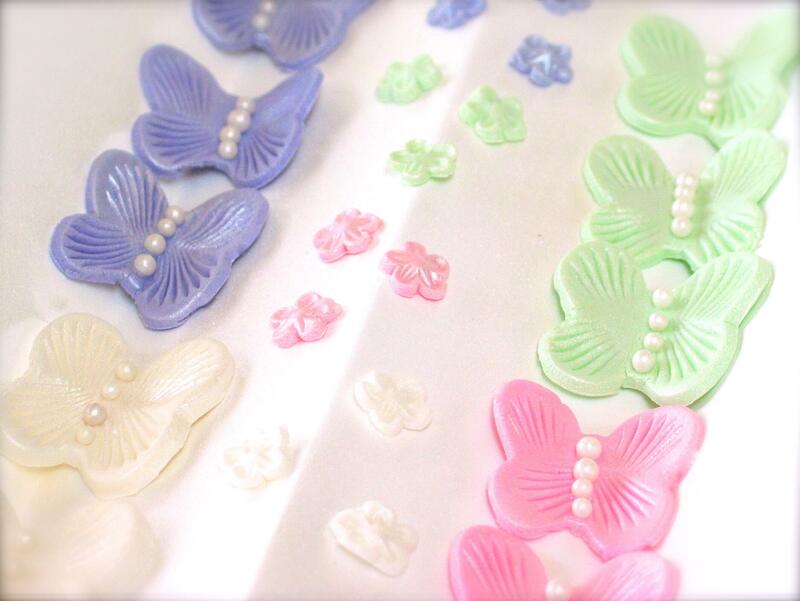 I found a small cookie cutter of a butterfly which I used to cut out my butterflies from colored rolled fondant. I have a “fork” fondant tool that I used to stamp the lines in the wings. I also used a flower punch to cut out flowers in the same colors. I made accordion folds in pieces of card stock and dried my butterflies in flight shape. Once dry, I sprayed them with food grade pearl spray. On Friday I made the cupcakes and frosted them with Vanilla Buttercream frosting in pink, yellow and green. I also made some Chocolate Buttercream. Click here for the recipe. I have made several changes to the recipe and finally, have what I believe is a great frosting. It is creamy and non-greasy. As you can see, I used a separate frosting tip for each color. The stars on the green cupcakes resemble grass. 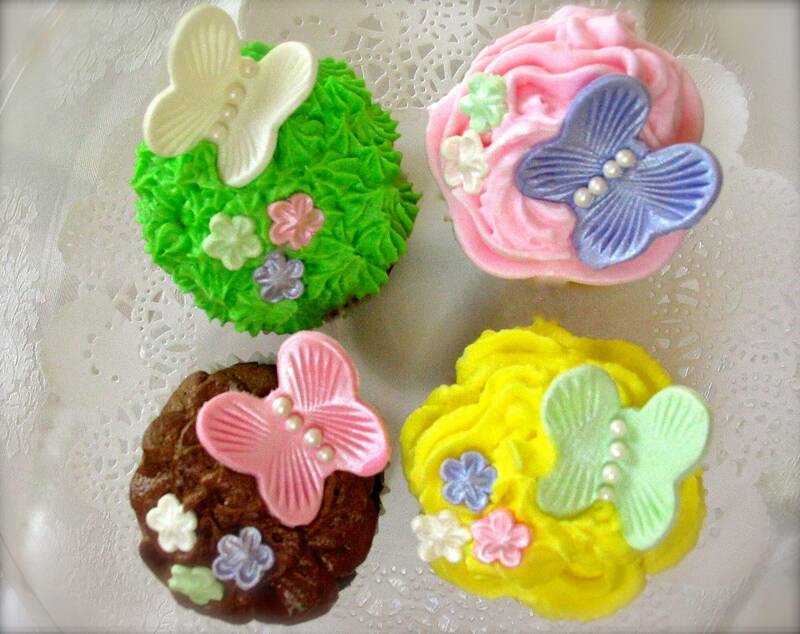 The pink cupcakes resemble a rose, and the yellow and chocolate are different flowers as well. 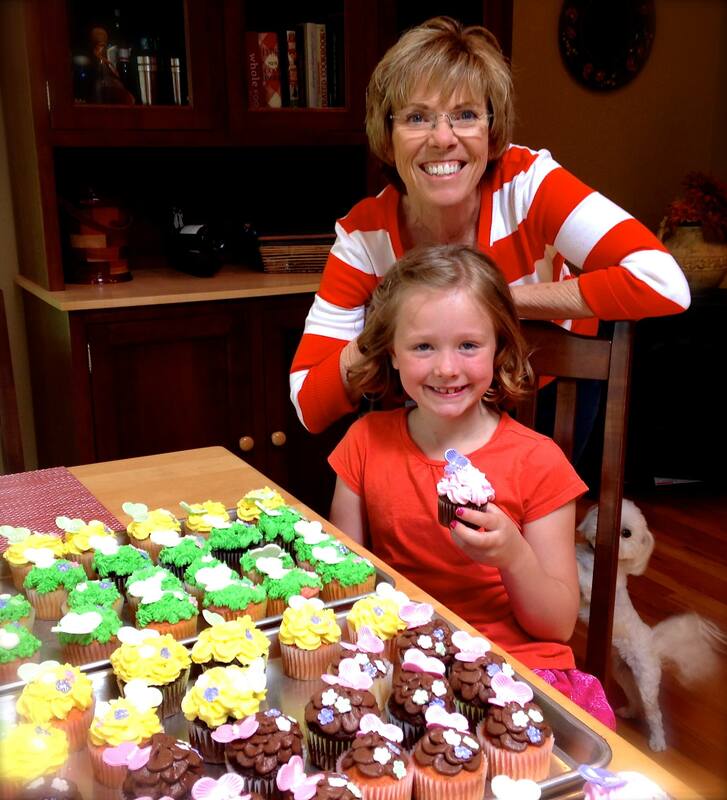 Amelia was very happy with the results, and was kind enough to pose with the baker! (Did I mention that I made 70 cupcakes?) Four of them magically stayed at my house. Her buddy Maci even made the picture! Are you a baker? What is your specialty?